Cold rolled steel is typically used in applications that require a high level of precision and better surface quality. 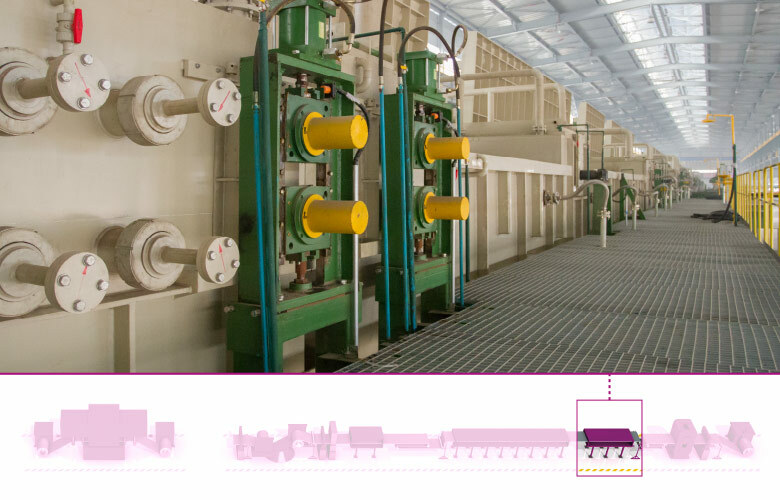 Fives has designed NeoKoil® cold annealing and pickling lines (CAPL) utilizing proprietary technologies to ensure optimum product quality and efficiency. 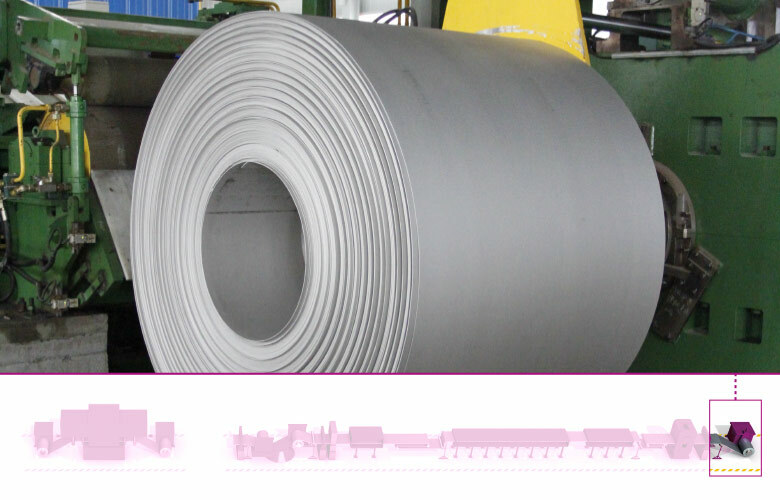 The latest reference includes a new CAPL with a production capacity of 500,000 tons per year to produce 200, 300, 400 series stainless steel products for Foshan Chengde New Material Co., China. 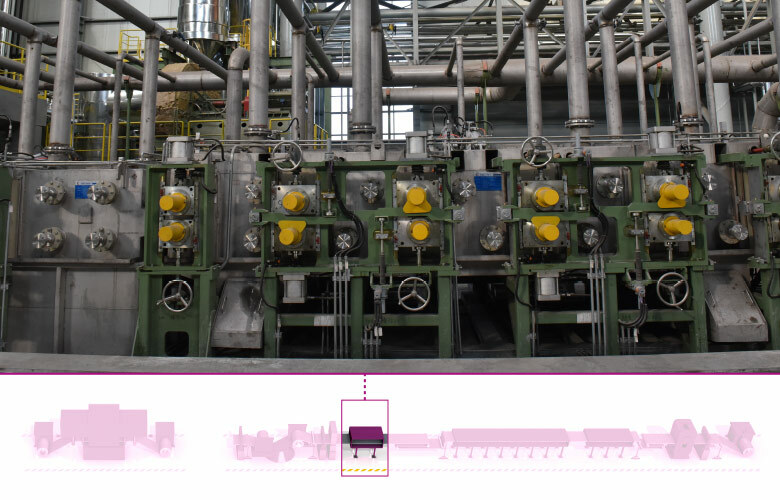 The DMS 20Hi rolling mill for stainless steel achieves a maximum rolling speed of 1200 mpm, a minimum strip thickness of 0.04 mm and a maximum strip width of 1880 mm. 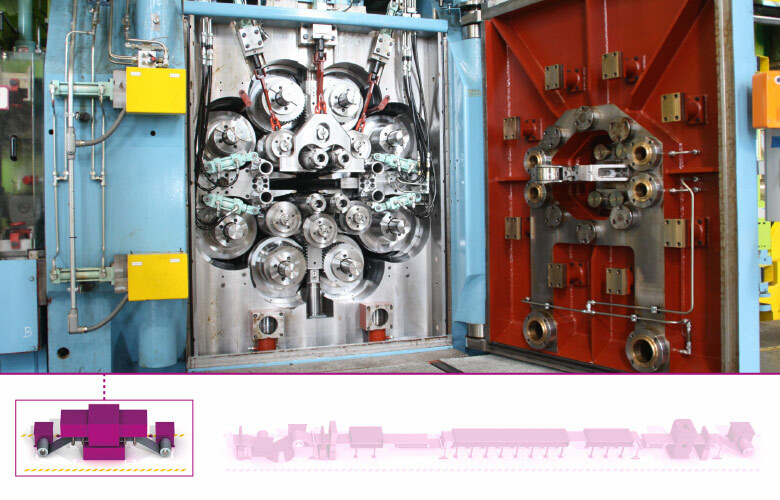 Fives customizes degreasing systems for cold annealing and pickling lines (CAPL): vertical or horizontal, alkaline or hydro, with pre-degreasing section or without. 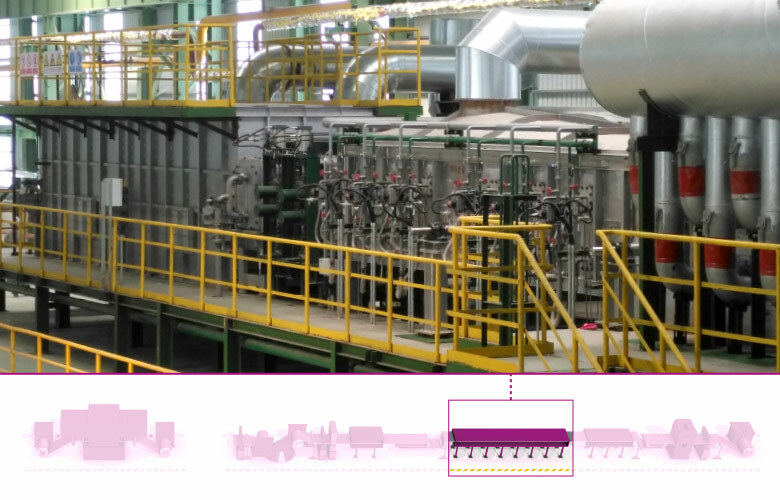 Such degreasing systems are tailored to customers’ requirements and built to minimize water consumption and utilize waste heat for a more environmentally-friendly and cost-effective operation. Stein direct fired furnaces offer flexibility of operation and high quality of strip heating due to the furnace insulation and combustion control design. The furnace is equipped with AdvanTek® direct fired burners which uniformly heat the strip under accurate oxygen level control. The cooling technologies include: combined air and water or pure water cooling (including cooling control crosswise); and mist cooling and associated drying technologies. 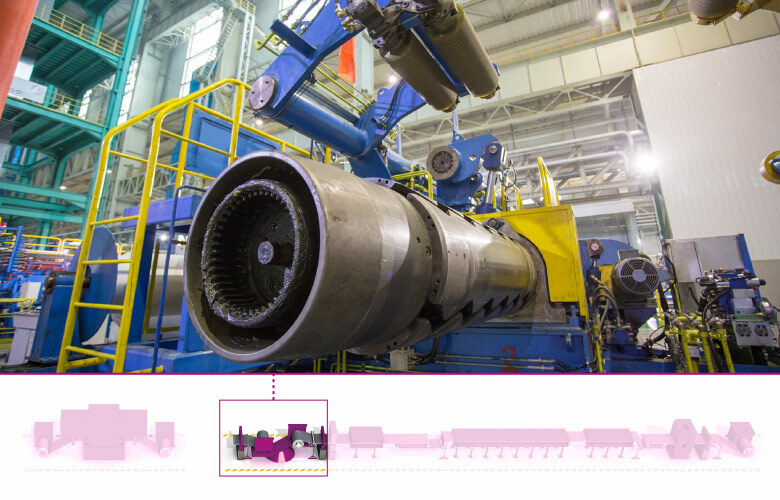 Fives’ solutions for strip pickling systems for cold annealing and pickling lines (CAPL) use a pre-pickling stage to fracture the oxide layer in order to produce the high quality surface finish that end users expect. The proprietary technology includes Scale-X™ for oxide removal which utilizes an aqueous salt solution to replace electrolytic sodium sulfate. A skin-pass mill is essential for high quality finishing. It removes the yield-point elongation effect and greatly improves the strip surface aspect to reach the 2B standard. The new DMS SkinPass 2Hi from Fives can process steel sheets up to 1600 mm wide at a high speed. 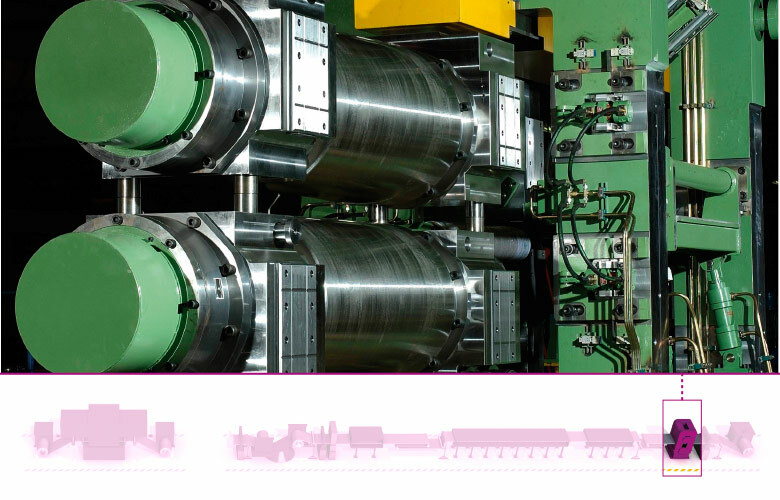 Both in-line and off-line configuration are available, depending on addressed grade portfolio.